There’s an inherent problem with trying to answer poker questions about general situations, and that problem is that the answer is almost always “it depends” followed by a list of things that it could depend on. In short, beginning poker is about understanding the elements that influence your decisions and figuring out how to put it all together in some way that leads you to decent decisions more often than not. Recently ‘PJfan10’ from the forums asked me about a general situation, and I ran into the same issue. To summarize his question, he was asking how to play missed overcards when you’re on the flop after making a continuation bet and getting called. He noted that sometimes he takes the free card play, but other times he opts to fire the second barrel. Our goal for this week’s column is to give ‘PJfan10’ and other players some ideas to think about on their own when it comes to the decision to double barrel (or not). We’re going to incorporate a number of other editions of my weekly column to give you a lot of other material to expand into in an effort to really make the pieces of the puzzle start coming together. The general principles of double barreling have been covered over and over again. 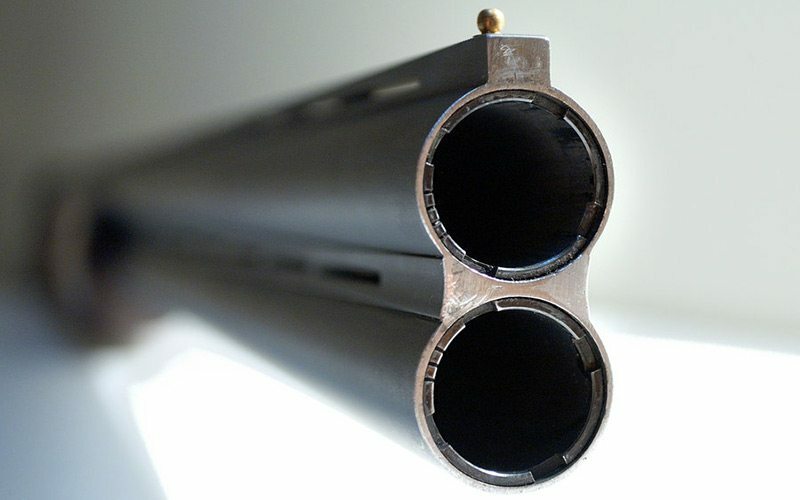 In the Bluff or Check Series (part 1, part 2, part 3, part 4), I covered just about everything I could think of that a new player would need to know about the choice between firing the second barrel. That’s a series that you should check out if you’re reading this because it’s one of my favorite things I’ve done with this column. Playing in position gives you the opportunity to use the free card play. You’re typically going to go with this option when you think that the value of checking is greater than the value of bluffing. This could be because the board isn’t very good for increasing your fold equity or because you picked up some outs on the turn and think you have good implied odds if you nail the draw on the river. In the first part of my Tactics vs. Strategy Series (part 1, part 2, part 3, part 4), I talked a bit about the evolution of the free card play and how counters to it became fashionable. This is a good read for people who like thinking about the big picture of strategic trends. Something that doesn’t get much attention anymore is the idea of checking to induce a bluff. It can be a strong play to keep in mind when you mix things up in certain situations, and I’ll give you an example of what I mean. Suppose you raise pre-flop from middle position and get called by a player on the button. You continuation bet with overcards on the flop and get called. An ace comes on the turn. If you never check when you caught an ace, then when you do check, your opponent will know that you aren’t going to have that ace. Along these lines, checking with a hand that made top pair on the turn in this particular situation could be an important play sometimes to protect the rest of your play. A small amount of basic math can go a long way towards learning to play these situations really well. My favorite thing I’ve done with this weekly column was the EV Calculations Tutorial Series (part 1, part 2, part 3, part 4, part 5, part 6) because I walked through how to use some extremely simple and math (just addition and multiplication) to perform EV calculations on any type of situation you can think of in poker, big or small. If you put the work in on this, and in reality it’s not all that much work, then you’ll come out on the other end having a much better understanding of what’s going on. How to Make Actual Adjustments While Playing – Adjustments are something that a lot of new players struggle with, and the goal here is to make that process a bit easier. Making Our Strategies More Robust and Avoiding Auto-Pilot – Auto-pilot will absolutely kill your growth in poker by putting you in a position where you aren’t learning or getting better. The Incorporation of Second-Level Thinking – This will get you to thinking about your thinking. Comparing and Evaluating Different Bluffing Lines – There’s more than one way to skin a cat. Leading the Flop and the Relationships to Continuation Betting – This is something that I talk about with new players a lot because it can really change your perspective on flop and turn situations. An Easy Guide to Exploiting Your Opponents – More on exploiting people and thinking about what exploitation and adjustments really are. The Basic Concepts That Drive Continuation Betting – This is a good one to review to make sure you aren’t getting yourself in bad situations unnecessarily by how you’re continuation betting on the flop. I hope that players get a lot of use out of these links and that you’re able to pull it all together to learn more about poker.